It’s a new year and he popped the question during the holidays. How exciting!!!! So many plans to be made, so many venues to choose from. But wait, why not opt for a destination wedding. It is easier, you get to have your wedding and honeymoon all in one location, so it saves on money, and you get to bring your closest family and friends along with you for your special day. 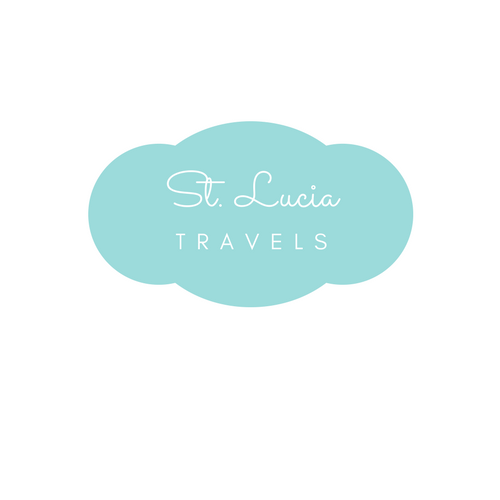 But first things first, I don’t think I have to convince you on why to choose St. Lucia as your destination of choice, but since you ask. Think about a natural backdrop, getting married on the white sand beaches, and having the best resorts and staff to help you along the way for your wedding day. I have come up with a list of resorts that will give you the best wedding you could ask for, TripAdvisor certified. Just follow me down this list and you can choose from any one of these amazing resorts and villas in St. Lucia to celebrate your wedding and your honeymoon. The great thing about the Sandals Resorts in St. Lucia is that they come in three, so you get to pick any one of them to have your special wedding day. The Sandals Grande, Sandals La Toc and Sandals Halcyon, will give you and your partner the wedding of your dreams. Imagine having all your friends and family enjoy your special day with you and the one you are ready to spend the rest of your life with. Sandals offer a variety of wedding packages. Just tell them your dream and they will make that dream come true. Allow the staff at Sandals to create your very own unique style for your wedding day. Every sandals wedding includes the ceremony, reception, your own personal wedding planning team, preparation of marriage documents, a manicure for the bride and a 30-minute massage for the groom. There are so many other surprises at Sandals, the more days you stay you more you will receive. If you decide to spend your wedding and honeymoon at sandals, meaning if you stay 6 days or longer, you can get up to $1500 in credits towards your wedding, your room, and photography. If that’s not enough, the view for your backdrop is just an amazing sight to see. Who wouldn’t want to have a beachfront wedding. Another great perk for you is that the more wedding guest you bring in the more bells and whistles there will be for you to choose from. I won’t say no to free stuff. So have you made up your mind to book your wedding and honeymoon at any one of these amazing Sandals Resorts in St. Lucia. Be sure to check out TripAdvisor for some great rates. Ladera Resort is one of the best-known resorts in St. Lucia, and when it comes to and when it comes to your wedding, the will go above and beyond. It was recently named one of the most romantic places to stay in the world by Conde Nast Travelers. Could you imagine spending a week in a complete paradise, where you and your new partner enjoy the company of each other, getting to know one another even more without any interruptions. Almost every room comes with its very own pool, so you really don’ have to leave the room if you don’t want to. The 3 wall concept gives it that romantic feel, where you wake up to the view of the majestic Pitons and the blue Caribbean Sea. Your wedding day, that special day where two hearts become one, why not let the staff at Ladera make your day even more special. Book six nights or more in one of our Heritage Suites, Suite at Paradise or the Villa at Paradise and receive a free wedding per couple. Included in your wedding package would be a personal wedding planner, all documents and fees, marriage officer, free witness if needed, floral wedding arch, bouquet for the bride, boutonniere for the groom, sparkling wine and canapes for two, wedding night special romantic turn-down, signature newly mimosas with in-room breakfast and Ladera keepsake bag. There are also photography services offered at an extra cost. You are getting married on a paradise island, make it even more special by booking it with one of the best resorts in St. Lucia. Be sure to check out Tripadvisor for some great rates at Ladera. Blue skies, white sand, sea breeze, all these make a perfect day for a very romantic wedding in St. Lucia. The Landings St. Lucia can give you all of this and some more. Wanna have a feel of a chapel, but still want to have your special day on the island, then lucky for you this resort has a beautiful chapel where you can say your I do’s. Afterward, everyone can enjoy your union as one on the white sand beach at the resort. Fresh flowers, live music and all the preparations of the wedding will be taken care of for you by the planners at the resort, so you don’t have anything to worry about on your special day. The great thing about having your wedding at Anse Chastenet in St.Lucia is that there different spots to share your love, whether you are having a private ceremony or you are celebrating with family and friends. They also offer you different price ranges for your wedding packages to fit your budget. Just imagine not having to worry about the stress of wedding planning, and know that everything will be taken care of for you. And hey, you are already on paradise island, why not say for the honeymoon. The natural beauty that St. Lucia offers, could be the backdrop of your Stonefield Villa Wedding. Planning your wedding at this amazing villa, all your worries and stress will be taken away. just by entering into the premises of this heaven on earth paradise, all your worries and fears will seem to be nothing but just a small pebble. Saying your vows to the one you love as you have the majestic pitons floating behind you, would be one of the most amazing pictures of your wedding day. With one easy step of filling out the request for proposal wedding form, you will be taken care of by one of the best wedding team and beauty specialist on the island. These are some of the best wedding resorts on the island of St.Lucia. Take a look and tell me what you think. If I missed one please be sure to send me an email about your experience for your wedding on the beautiful island of St.Lucia.